What would have happened if Napoleon had not died on the island of Saint Helena? What if a daring deception occurred and a loyal supporter had taken his place? What opportunities would this second chance bring? These are the questions which form the premise for Napoleon Disrobed, and theatre company Told by an Idiot seize the opportunity to re-write history with their funny and farfetched depiction of Napoleon’s life as a nobody. The fantastic staging of this production particularly impressed me. It was hilarious to see Napoleon stumble and stagger as the innovative rocking stage shook him violently. In fact, the portrayal of a rough and stormy sea was so convincing that I actually started to feel seasick watching it. This experience contributed to a feeling of being part of the performance rather than just an observer, as did the many instances of audience participation. Napoleonic paper hats were distributed to audience members, some were called upon to bid in an auction and others were even quizzed University Challenge style. Whilst you do not need to know anything about Napoleon to enjoy Napoleon Disrobed, and there were plenty of local jokes about Union Street and Plymouth Argyle to appeal to all, you might want to brush up on French history just in case “Jeremy” decides to pick you. I found Napoleon Disrobed to be a fabulous antidote to a drizzly Monday night in January, if the production’s only motivation was to entertain and amuse it excelled in achieving this. If you get the chance to see this show, do it! It is a short sharp burst of humour and I certainly left with a smile on my face. 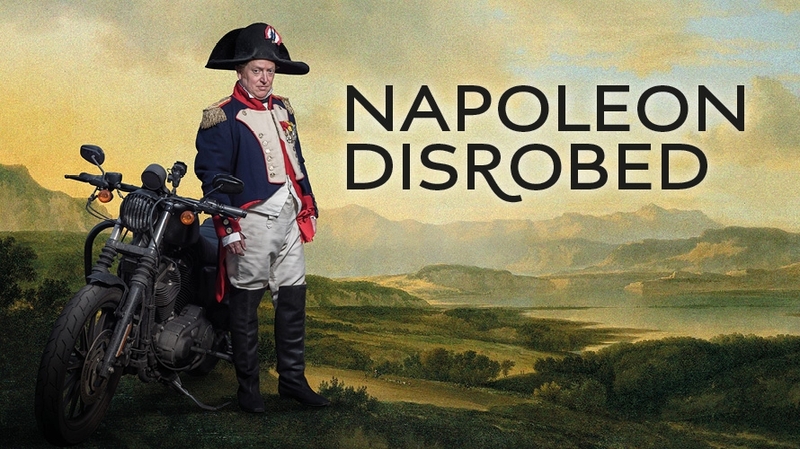 Oh and as a final word, which will only make sense if you do go and see Napoleon Disrobed, “Croissant”.